The EOSC is governed by three constituent bodies, as defined by the European Commission Staff Working Document Implementation Roadmap for the European Open Science Cloud. Keep up to date with the latest discussions, developments and events within the EOSC ecosystem. 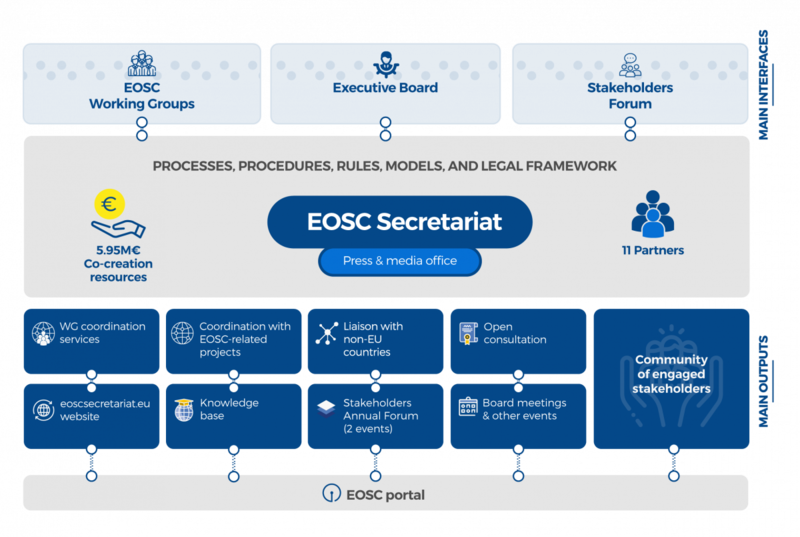 EOSCsecretariat.eu addresses the need for the set-up of an operational framework supporting the overall governance of the European Open Science Cloud (EOSC). Led by a lean consortium of experienced and complementary partners, the project maintains a practical approach to address all the specific needs of the coordination structure expected by the EOSC. founded on a substantial budget left available for all upcoming, foreseen and unforeseen, challenges of introducing a truly operational open science cloud serving all European stakeholders. EOSCsecretariat.eu is also characterised by being neutral towards the community it is serving and by having a pragmatic approach that is fully dedicated to realising the outcomes of the EOSC design as stated by the Staff Working Document and adopted council conclusions. The EOSC Secretariat is at the heart of the activities happening around EOSC. Sign up to our community to receive immediate updates. The EOSC Secretariat Network is comprised of engaged EOSC stakeholders that regularly receive updates regarding co-creation funding, Working Group outputs, events, and news on general EOSC developments. Fill the form below to keep up to date! Any questions? Let us know below and we'll get back to you. The EOSC Secretariat is well positioned at the centre of the EOSC ecosystem, engaging stakeholders, executing the decisions of the EOSC Governance entities, and facilitating the implementation of EOSC. Among its activities includes Working Groups and EOSC-related projects coordination, non-EU countries liaison, open consultations, an EOSC knowledge base, the Stakeholders Forum events and support to EOSC Executive Board and other meetings, and engagement with the EOSC stakeholder community. 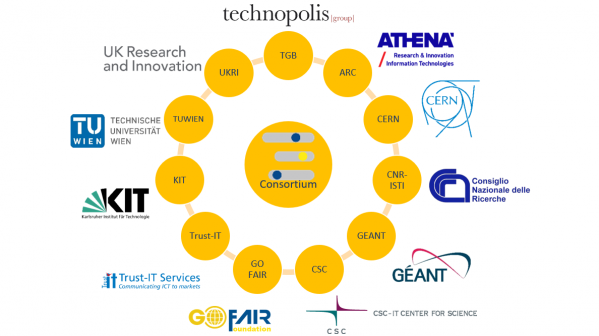 Following detailed consideration of the H2020 call’s objectives and of the expectations of the research community and policy makers for an operational, independent, and yet inclusive approach, we have assembled a consortium to support the EOSC Governance in channelling messages to the stakeholders and following up on implementation through the EOSCsecretariat.eu. The EOSC Secretariat is looking forward to hearing from you! EOSCsecretariat.eu has received funding from the European Union's Horizon Programme call H2020-INFRAEOSC-2018-4, grant Agreement number 831644.